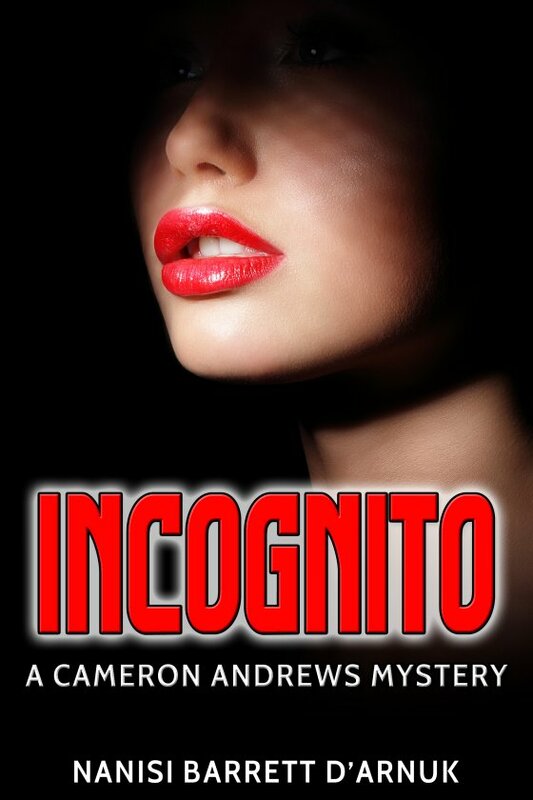 Incognito is the latest book in the Cameron Andrews lesbian romance mystery series, and we have an exclusive excerpt for you! DEA Operative Cameron Andrews can finally use her Master’s Degree in International Affairs when she’s assigned to help Ambassador John Taylor in Argentina negotiate a trade treaty. But it’s a front for her real objective: extricate the ambassador’s eighteen-year-old son, Tad, from the trouble he is in with the Salavados Cartel and then work with the Argentine authorities to trap the Cartel in a sting. Since her boss gave her the authority to use any means at her disposal, Cam falls back into a cover she’s used before: the very wealthy and independent Canadian, Laura Stuard. By playing the headstrong Laura to the hilt, Cameron is invited to the Salavados compound where they make a business proposal to her: use her SeaFarer Cruise Liners to move the drugs to Canada. It is a dangerous and exhausting game Cameron and Tad are playing, because not all the Salavados brothers are convinced by “Laura Stuard.” Cameron will have to stretch her considerable skills to not get killed during this scheme. The next morning, Tad slowly walked down the shabby street. The drive across the city wasn’t long because he knew where he was going. He’d parked around the corner and started pacing. Why was he here? He really didn’t need to be. He could just tell her he couldn’t find anything and be done with it. He didn’t need to put himself through all this. He looked down the street. There wasn’t one building that looked like it would stand up through a driving rain. The old coffee shop in the middle of the block was one of the worst. It was a good camouflage, though. Tad knew that it was more well-built inside, but the outside was in such bad disrepair that it looked like anyone who dared go inside was taking his life into his hands. Who would think this was such an important place in the neighborhood? How was he going to do this? He paced back and forth, up and down the street. Finally he decided it wasn’t worth the hassle and he started to walk back to his car. “Hey, Taylor!” he heard. He turned around quickly and found himself facing three very large men. They all towered over him. Of course, he was a slim five ten and one of them must weigh over three hundred pounds. “Carlos wants to know if you have any money for him,” the shortest man stated. Tad started to get nervous as two of the men walked in back of him. He didn’t know which man to watch, which way to turn. “Where is this mystery money coming from?” the third man asked. He stepped a step closer to Tad as a way of intimidation. “You’re sweating, kid. You’re not lying to us, are you?” All three men seemed to get larger and closer, though they hadn’t really moved. “No!” Tad pleaded. “I’d never dare lie to you guys. I’m being real honest with you.” Tad was breathing very hard and heavy, almost gasping. Once inside, the first man knocked on the office door, then opened it. “Tad Taylor,” the more imposing man said as he stood up. “Why don’t you have any money? You’ve been telling me for weeks that you were going to get money. Where is it? When will it be here?” Carlos looked at the boy. “You know the interest accrues every day you don’t pay. I’ve been very nice to you because you’re the Ambassador’s son but pretty soon, I’m going to have to ask him for my money. Now, I don’t want to cause an International incident but this has gone on long enough. When will I get my money?” Each of his words was strong and clipped. “Soon, Carlos. Real soon.” Tad felt like he was groveling. “I’ll give you one more week. If I don’t have my money by next Thursday, someone in your family will be hurting real, real bad. I don’t think you want to see that, do you? Do you understand me?” Carlos’ eyes narrowed as he threatened Tad. “Why are you down here if you don’t have money?” Carlos asked. “Yeh, yeh, sure. She’s a friend of the family. I’ve known her for a while,” he lied. Carlos just looked into Tad’s face. Two of the men grabbed Tad and forced him out the back door. He never saw the first punch coming. Buy a copy of the book today!